The author's grandfather, Walter Bowles, obtained his British Empire FAI Aviator's Certificate on the 11th March 1936, endorsed as a "First-Class" Pilot's Certificate by Colonel R.L. Preston, secretary of the Royal Aero Club on the 23rd June 1952. In 1949 he obtained his Private Pilot's Licence for single and multi engined aeroplanes, a simple matter of converting his Aviator's Certificate. 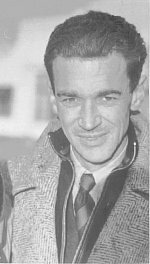 He flew for fun before the Second World War, trained pilots during the war in Southern Rhodesia (his family was torpedoed on the way there in the SS City of Nagpur), and then flew again for fun after the war becoming a member of the Throttle Benders Union of Racing pilots. His first experience of flying was as young boy, seeing the London Aerial Derby of 1914 having been taken by his father to what was then known as the London Aerodrome (Hendon). He first flew a de Havilland Moth early in 1935, from Hanworth aerodrome on the edge of London. (See this list for complete details of the aircraft he flew.) My grandmother had seen an ad in the local paper offering a complete course of instruction for just £15. He was taught by David Llewellyn, and after just 4 hours 15 minutes of instruction he was introduced to the art of spinning, and went solo at 9½ hours on G-ACOA. Learning to fly was not without incident; in March of 1936 he had to perform a number of flights to do some height tests, since "the barograph broke down." Then, on April 8th, the momentous first solo navigation exercise, from Sleaford to Broxbourne. The log book reports "Good weather, but got lost twice." Soon after flying training moved to de Havilland's home airfield at Hatfield. On 31 January 1938, Walter got his hands on a Miles aeroplane for the first time. It was a Miles Hawk, G-ACTO, and was destined to be the first in a long line of Miles aeroplanes. Having got his licence he then joined the London Aeroplane Club at Hatfield, and took further instruction in aerobatics, (a note in the log book for 13 January 1939 just says "looped.") He did some touring in the UK and into Europe with F.J. Bush, owner of the Moth G-AAAA, visiting the Lancashire Aeroplane Club at Barton, and flying via Lympne to Paris (Le Bourget) on more than one occasion. Many pilots spend their first few years flying only the same type of plane, which seems a pity. Walter was not to be one of these, trying out a Simmons Spartan, the famous Tiger Moth, and a Drone, the first plane he bought himself. Kronfield was a glider manufacturer based at Hanworth Air Park, and with its 32HP Carden engine, G-AEKU was not a great success, being too slow for him. On one occasion my grandmother beat him back to his home airfield in the car, and so this was soon sold. Touring in de Havilland Hornet Moths was next, including G-AESE which survives in immaculate condition to this day. With Hatfield as his base, Bedford, Stapleford, Brooklands, Bristol, Sywell, Southend, Bristol, Witney, Henlow and Heston all appear in his log book for this time. Various other planes appear in his log book before the outbreak of the Second World War, including Moth Minor G-AFON which, wonderfully, is still airworthy in New Zealand as ZK-AKM in the care of Stan and Gilly Smith. The last flight before the war was in FON from Hatfield to Dunstable, on September 1st. Then, with 141 hours and 10 minutes in WPB's log book, Chamberlain announced that we were at war with Germany.